As Rebecca Stott's father lay dying he begged her to help him write the memoir he had been struggling with for years. He wanted to tell the story of their family, who, for generations had all been members of a fundamentalist Christian sect. Yet, each time he reached a certain point, he became tangled in a thicket of painful memories and could not go on. 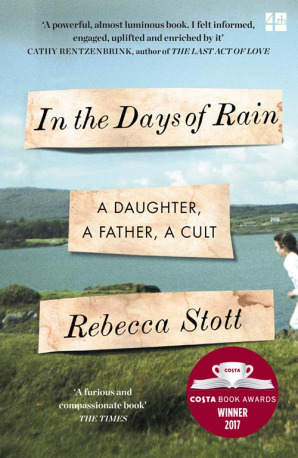 In In the Days of Rain Rebecca gathers the broken threads of her father's story, and her own, and follows him into the thicket to tell of her family's experiences within the sect, and the decades-long aftermath of their breaking away.